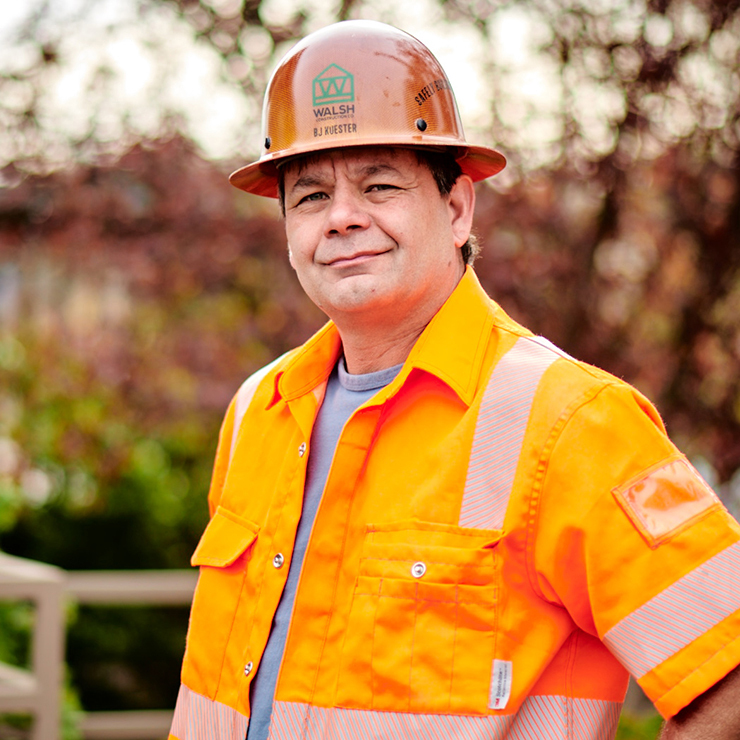 BJ Kuester | WALSH Construction Co.
BJ recently joined WALSH as an accomplished foreman with 35 years of experience. He has worked on a wide range of projects including high rise buildings, mixed-use buildings, assisted living facilities, tenant improvements, and renovations. As superintendent, BJ will be responsible for scheduling, subcontractor and job coordination, safety, quality control, direct labor activity coordination and overall job site control.